Miss the sweet spot and you could pack on pounds. No one likes to be weighed, but new science might make you want to step on the scale: In a recent study published in PLOS ONE, researchers tracked weight fluctuations of 40 overweight adults who were trying to slim down. Then, they compared participants' weight loss to their weigh-in frequencies. People who weighed themselves most often lost the most weight, while people who went more than a week without stepping on the scale gained weight. This doesn't mean stepping on the scale makes you lose weight—or that shunning it makes you pack on pounds. 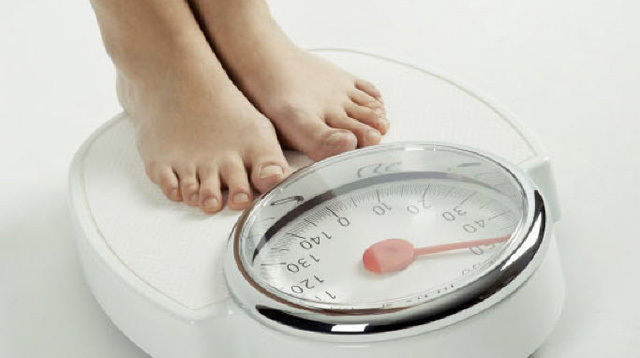 It's possible that people who weigh themselves more are serious dieters, and therefore, they lose more weight. Or, on the flip side, it's possible that dieters who gain weight avoid weighing themselves to avoid the truth. Researchers don't know. On average, the longest people in the study could go without weighing themselves without gaining weight was 5.8 days (or about once per week). Even if you're terrified of standing on a scale, it'd be smart to jump on weekly if you're trying to lose weight or to keep off the weight you've lost. Previous research suggests that people weigh the least on Wednesdays, so that's your day to shine.